I've designated Tuesdays as tidying days, but with the boys in school, that would mean doing their tidying in the evenings. That's a busy time of day at our house, so instead I did their clothes this weekend. They had a half day on Friday, so we did Sam's clothes after lunch. I chose to do his first because he's older, and I knew he'd have some hand-me-downs for Ben. Sam has two large drawers that slide under the boys' bunk bed. As you can see, the struggle with large drawers is that things get jumbled up together. Nothing stays in the right place when Sam is moving stuff around trying to find what he wants. We put the pile on my bed. Sam and the "keep pile"
Sam is nine, so he had a clear understanding of what we were doing. He enjoyed having a project to do with me. It was nice to spend time together. I taught him how to fold things correctly, and he caught on and was able to do it. 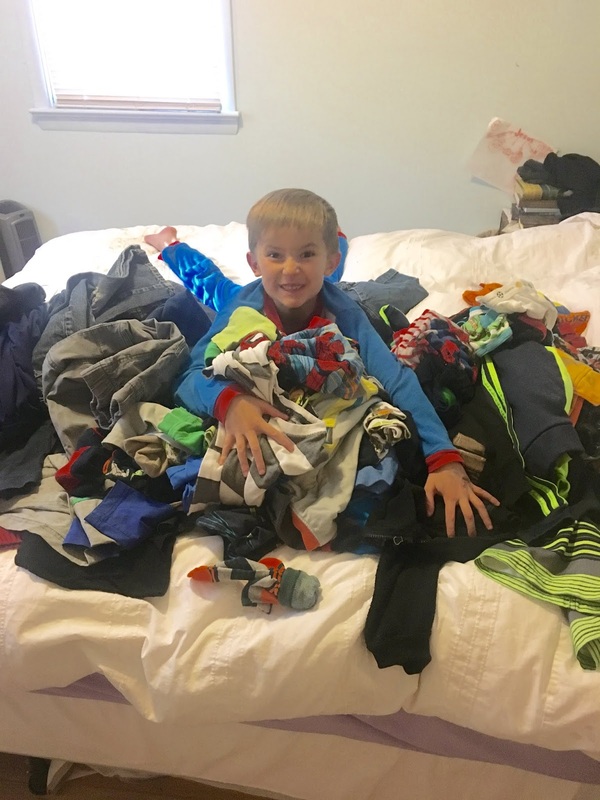 When he surveyed his giant pile of clothes, he said, "Wow, I'm really spoiled, Mom. I have a lot of clothes." We talked about giving his unwanted clothes to Goodwill or his brother, and that made it easier for him to say goodbye to some of his clothes. Sam is a big-time hoarder (I dread doing the sentimental items part of his room), so getting him to part with anything is a big deal. 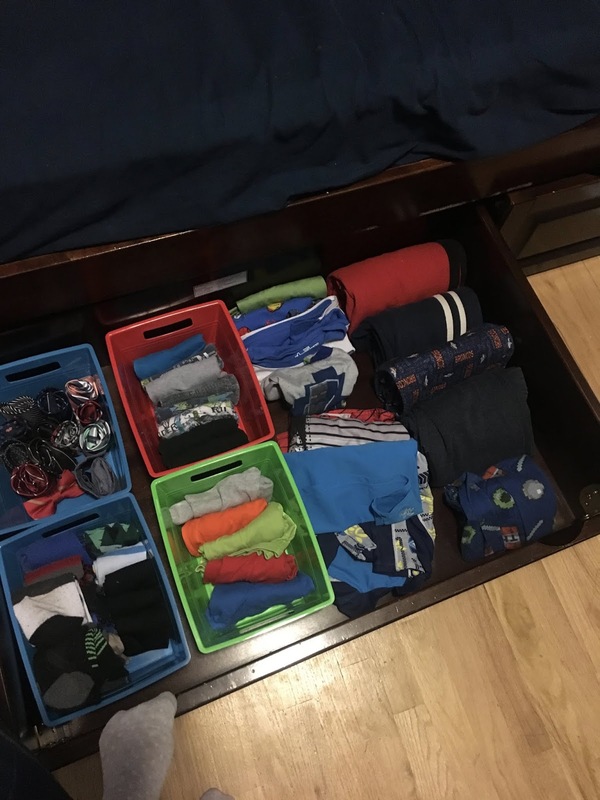 I bought those bins at the dollar store to help Sam keep his socks and underwear from sliding around in the drawer. We had an extra one, which stored the boys' ties perfectly. When Sam and I were done, I showed Benjy the clothes Sam didn't want, and allowed him to choose what he wanted to keep. He loved "shopping" through Sam's old clothes. When Sam got dressed this morning, I asked him what he did with his pajamas. His response? "I folded them the special way and put them back with my other pajamas." Saturday was Benjy's turn. Right before we got started, he got mad that his dad wasn't letting him play basketball, and when I told him it was time to tidy, he refused. I was patient (for the first time ever), and waited it out. In a few minutes, he got up on his own and helped make a giant pile. All three of my kids loved that part of tidying the most! Benjy has an upright dresser with conventional-sized drawers, but he still mixes up his clothes while looking for what he wants. "Look at all the clothes I have, Mom!" Benjy told me at first that he wanted to keep all of his clothes. I was still able to get him to discard some things. He was excited to give some clothes to one of his friends who is younger than him. He didn't want to fold, but after I showed him how he gave it a try and decided it was fun. Benjy is like that. He has to decide for himself that he's into something. I let him choose which clothing went in which drawers, and he appreciated getting to choose. I have high hopes for the new drawers. Both boys were warned that if they messed up the drawers, we'd have to do this all over again. I also offered to help them if they weren't sure where to put things or if something got unfolded. I have loved my new drawers, and I hope the boys will, too. That will make it easier for them to keep their clothes in order. 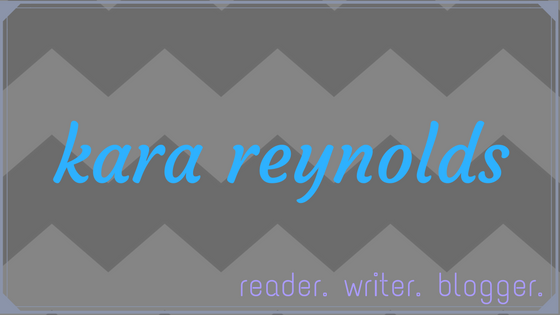 Next week: My books. I'm a little terrified. Wow I am impressed with the boys. Good job to all! !